At the southern intersection of the High Road and the Way of the Dragon, the Waymoot is a high signpost mounted in the middle of the crossroads with hanging arrows pointing toward the harbor and city gates. Created by the Watchful Order and funded by local merchants, the signpost magically directs travelers to locations spoken into a crystal on the post. 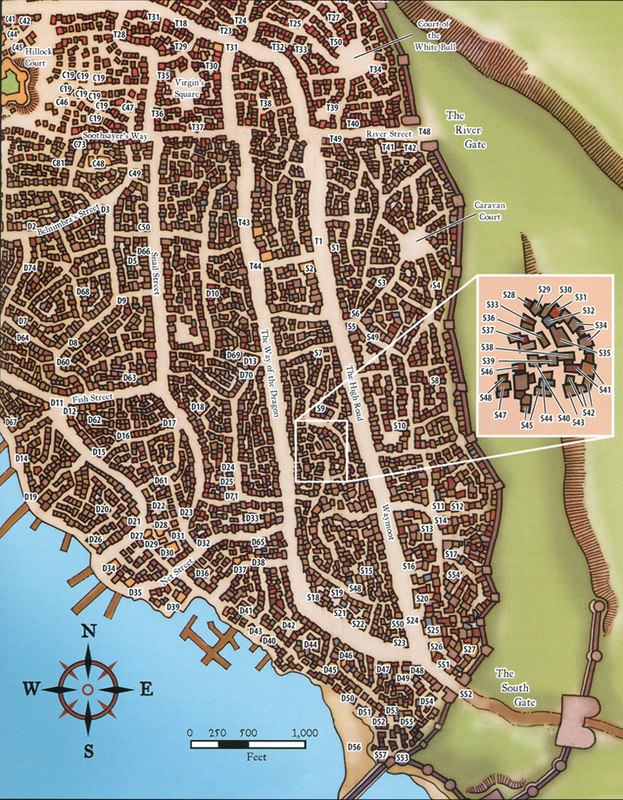 Once a site is spoken, the Waymoot writes the destination onto the relevant arrow and indicates is distance from Waterdeep; therefore folk are sent out the appropriate gate leading north, east, or south, depending on their destinations.